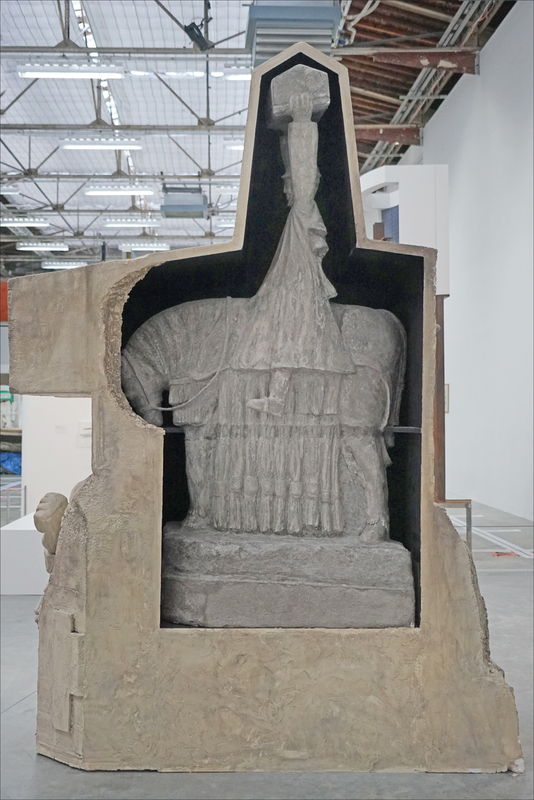 A semi-casted plaster model of Algiers war memorial le Pavois is on display at Palais de Tokyo in Paris, until May 13th 2018. It is part of Neïl Beloufa’s latest exhibition, “L’Ennemi de mon ennemi” (“My ennemy’s ennemy”). “L’Ennemi de mon ennemi is a project by Neïl Beloufa, commissioned by Palais de Tokyo. 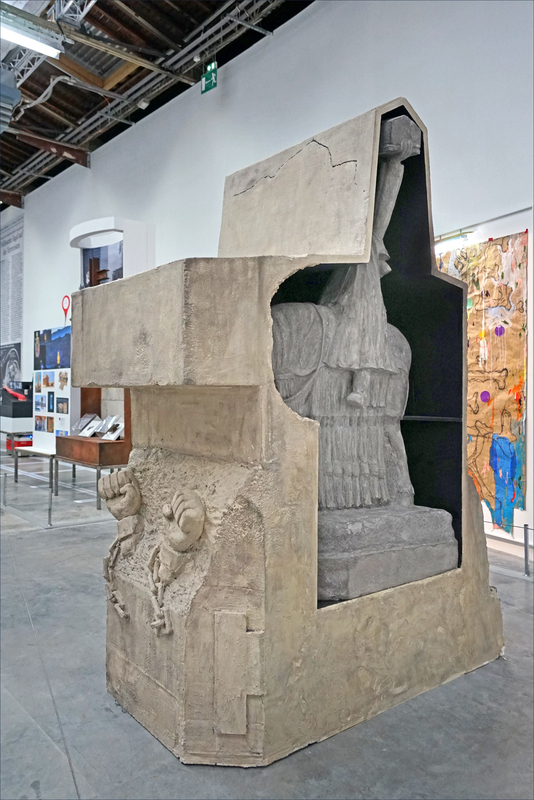 It consists of a scenographic dispositive that represents a chaotic and fragmented vision of the ways in which history is written and in which power is legitimized in the contemporary era.